You will encounter a reality in Cuba unlike anything you have experienced. The total absence of commercial advertisements, the existence of mass organizations structured by the State, a continually evolving socialist revolution that includes free health care and education (imagine no student loans! ), lack of ready access to many consumer goods, strong communities and tight family structures – all these things and many more will quickly turn your world upside down. The social, political and historical realities in Cuba generate many questions and challenge preconceived notions. You will quickly move outside your comfort zone, providing the perfect conditions for a unique and rewarding educational experience. The program offers a constructively critical look at Cuba’s ongoing revolution. Students live with Cuban families in the barrio of Marianao, about 20 minutes from downtown Havana. The University of Pedagogical Sciences hosts the program, facilitating extensive interactions with university-age students. Travel opportunities include a week in the provinces, beach visits, cultural activities and nature explorations. Anti-capitalism: Cubans are building a socialist country and the ongoing experiment is fascinating. Unwilling to accept the old Soviet or the new Chinese models, the Cubans are doing it their way – Marxism with a salsa beat. You’ll investigate the good, the bad and the ugly – successful programs and failed experiments. This course is particularly appropriate for students oriented to anti-capitalist views who want to experience real life efforts to construct alternatives. Decision-making processes and citizenship rights: In the mainstream US media, Cuba is a dictatorship, plain and simple. But the reality on the ground is much more complicated. Popular elections that draw high turnouts and mass organizations that include virtually the entire population co-exist with a one-party State and partially controlled media. Is this a different form of democracy? How much control do citizens have over decisions that affect their daily lives? Social justice vs wealth production: The Cuban dream of an egalitarian society that includes subsidized food, free health care and education, free day care, and guaranteed jobs is confronting the reality of a neoliberal world that inevitably results in wealth differentiation. Is socialism possible with market mechanisms? Are current reforms re-introducing capitalism? Is wealth creation more important than equity? Is it possible to build a social consensus around labor norms that are not based solely on wage levels? Race, class, gender and sexual orientation: Theoretically a classless society, recent reforms and billions of dollars in family remittances are introducing new social inequities. Are these differences understandable in terms of race, gender and sexual orientation? Does the State have the final, or even the most important, say on questions of prejudice? What is the impact of historical legacy on current social relations? Are race and gender inequalities automatically overcome in a classless society? What is Cuba’s history regarding issues of sexual orientation and AIDS treatment? These questions and contradictions are not simple abstractions. They manifest themselves in discussions at the market, at family dinners, in the mainstream media, and in government discourses. They unfold in a particular historical context impacted by an often contentious relationship with the US government and grounded in nationalism built on the foundations of sovereignty, equity, solidarity and Cuba’s particular brand of Marxism. Applicants must be registered in an undergrad or graduate program at an accredited US institution that recognizes the credits earned in Cuba toward a degree. The courses in Cuba are structured educational programs permitted under US embargo travel restrictions by general license 515.565 (a)(1)-(3). Diplomas and transcripts are awarded by the Universidad de Ciencias Pedagogicas Enrique Jose Varona, one of Cuba’s leading universities. Your school study abroad office must complete an approval of participation form that recognizes the program credits as applicable to your undergrad or graduate degree-granting program. The core program consists of four classes integrated in a modular system that utilizes an interdisciplinary pedagogy, combining theoretical classes with workshops, internships, and experiential learning. Instruction focuses on a distinct theme each week. Reading materials are drawn from sociology, political science, anthropology, economics, history, literature, and other relevant disciplines. Students meet for 15 hours of formal academic classes each week organized around discussion of assigned readings and lectures by some of Cuba’s leading academics. Lectures are in Spanish with English translation for those who need it. • Spanish (280/380/480 – (level depends on student language capacity), 4 credits, 60 class hours. Spanish classes are offered at 3 levels – beginning, intermediate and advanced. The advanced course is reserved for native or fluent speakers, and covers Cuban literature and film. Opportunities for independent study include professional salsa classes, drum lessons, urban agriculture, and race dynamics. This study abroad program is grounded in the praxis (theory and practice) of contemporary Cuban society, the ideas that energize it, and the daily lived experiences that embody it. 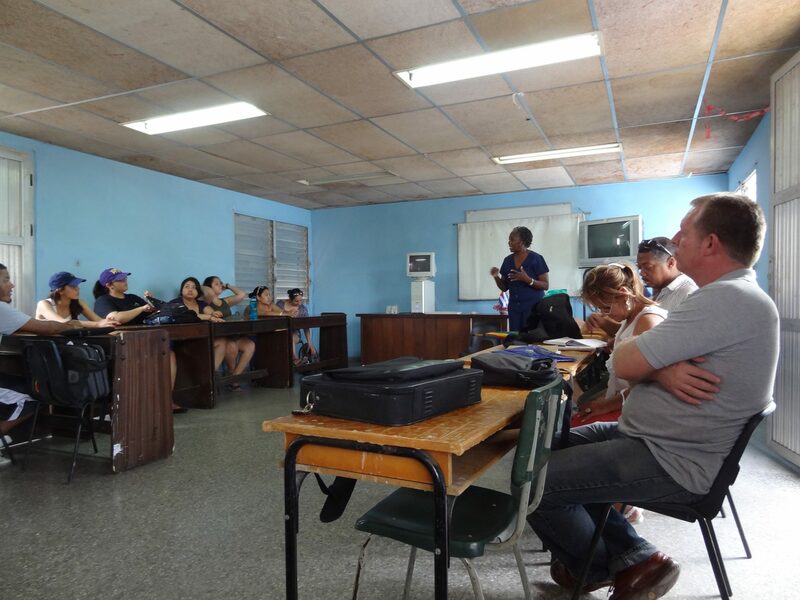 You’ll get out of the classroom and into the community with workshops and meetings that put you in direct contact with Cuban academics, political leaders and social actors. Experiential workshops may include visits to public schools, medical centers, cooperatives, NGOs, and popular organizations. You will enjoy the rich Cuban culture, including Cuba’s world-renowned cinema, dance, music, theater, and sports events. Once a week, you can participate in a three-hour internship with the Universidad de Ciencias Pedagogicas where public school English teachers learn their profession. Here you can interact in a lively bilingual exchange with second and third year English language students that often result in lasting friendships. Workshops, parties and cultural exchanges involving students and youth are central to the program, offering you the opportunity to make friends with people your age. In addition to spending 12 weeks in and around Havana, you will spend a week in another province, learning about the impacts of the revolution in the countryside. You will spend a weekend at Varadero Beach, where you can witness the impact of extensive foreign investment in the tourism sector and grab a swim at the finest beach in the world. And you’ll have opportunities for nature explorations, agricultural work brigades, cultural experiences and much more. 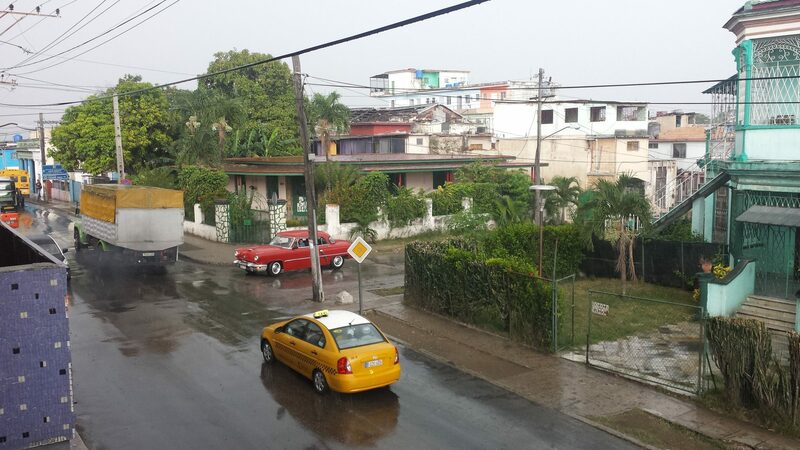 Your homestay experience is central to immersing yourself in Cuban culture, politics, and history. You will live with families in Marianao, a historic Black working class barrio located on the southwest side of Havana, about 20 minutes from the city center. Homestays provide you with a unique opportunity to learn firsthand from Cuban families while also improving your Spanish. For most students the homestay are the highlight of the trip!